Based in Oklahoma City, OK, William D. Jones, MD, provides patients with occupational health care and serves as a Oklahoma Workers’ Compensation Court independent medical examiner. Having studied Spanish in college, William D. Jones, MD, has traveled to several countries throughout South America, including Argentina, Peru, and Uruguay. A small country located between Argentina and Brazil, Uruguay features a number of sights of historic and cultural interest. 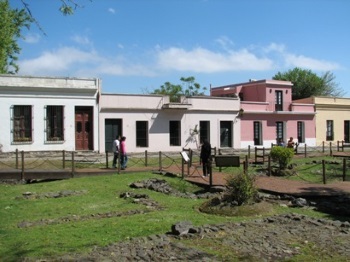 Colonia del Sacramento sits strategically on the De La Plata River and is the second oldest city in the country. Vital for trade, the city emerged as a commercial force in the 18th century and was contested by Portugal and Spain throughout much of the colonial era. Now a UNESCO World Heritage site, the city offers a unique blend of architectural styles to match its contested history. Another area with pending World Heritage status is Chamangá, which is situated in the Flores province in the country’s southwest. The region has numerous granite formations that contain more than 40 rock paintings, some of which date back more than 2,000 years. These pictographs provide an essential glimpse of the indigenous cultures that inhabited the country prior to colonization. Another destination of interest to those exploring Uruguay’s past is Ciudad Vieja, the “old city” district of Montevideo, which features a combination of the traditional and modern.